What are the Age Requirements for Lasik Surgery? Lasik surgery is a safe and effective eye surgery. Most recent studies show that, at least in non-corporate type laser facilities, Lasik is safer than wearing contact lenses. It was developed in Greece around 1991 by Ioannis Pallikaris. During Lasik surgery, an eye surgeon uses a specialized laser to reshape your cornea (i.e. the transparent film that covers your eye), thereby improving your vision, eliminating your need for contact lens and prescription glasses and correcting refractive errors (i.e. blurry vision). It is important to note that not everyone is a good candidate for Lasik surgery. Factors like poor health, medical conditions (i.e. autoimmune disorders like lupus and rheumatoid arthritis), unstable vision (i.e. changing vision), certain recreational activities and occupations (i.e. boxing, wrestling and/or marital arts), corneal disease and age (i.e. too young or too old) can affect the effectiveness of the surgery. In fact, a big concern for many patients is how young is too young and how old is too old to safely have Lasik surgery. 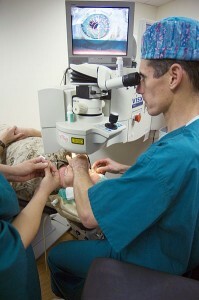 It is important that you receive a complete eye exam by an ophthalmologist (i.e. eye doctor) before scheduling Lasik surgery. If you are wondering what the age requirements are for Lasik surgery – you have come to the right place. 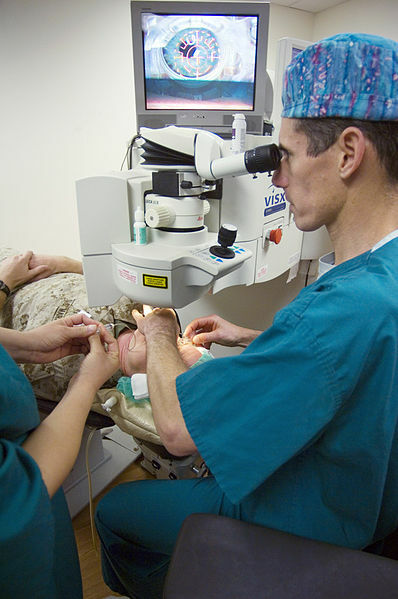 This article will help you determine if you are a good candidate for this refractive surgery. So, what are the age requirements for Lasik surgery? Well, there a several factors that must be carefully considered before determining the age requirements for this surgery. Are your eyes healthy? One of the key factors that can influence whether or not you are a good candidate for Lasik surgery is the health of your eyes. It is imperative that you have fairly healthy eyes and stable vision before considering Lasik surgery. Certain eye conditions and unstable vision can exclude you from this surgery, regardless of your age. To be approved for Lasik surgery you will need to have had stable vision for the last two years. In other words, your contact lens and/or glasses prescription cannot have changed within the last 24 months. It is also important to have healthy and stable eyes because this surgery is a permanent surgery; therefore it is not easily corrected once performed. What is the FDA-approved age requirement for Lasik surgery? Another factor that must be considered when determining the age requirements for Lasik surgery is the Food & Drug Administration (FDA) regulations. This administration has strict guidelines and regulations when it comes to eye treatments like Lasik surgery. In fact, Lasik surgery is only approved for those over the age of 18. Why? Well, children and teens (i.e. those under 18) rarely have stable, unchanging vision; therefore there is a risk that the surgery will not be effective. There is also an increased risk of irreversible eye damage in younger patients. It is important to note that in some cases, an eye surgeon may allow those under the age of 18 to have Lasik surgery, but this is rare. For instance, the only time that an eye doctor would consider performing Lasik surgery on children or teens is if the person’s vision was so impaired that only Lasik surgery could improve or correct it. In other words, this person’s vision would have to be so damaged that the only way to save his or her vision would be to perform Lasik surgery on his or her eyes. It is important to note that although 18 years old is the official FDA-approved age for Lasik that does not mean that all eye surgeons will perform the surgery on people as soon as they turn 18 years old. Other factors, along with age, determine if this eye treatment is appropriate for an individual. In other words, eyes do not develop at the same rate for everyone – some people’s eyes are completely developed and stable at 18, while others are not. Are you a child or teen? If the answer is “yes” then you are probably not old enough to have Lasik surgery, unless you are a teen who is 18 years old or older. As mentioned before, in rare cases, an eye surgeon may decide to perform Lasik surgery on someone underage, but this is only when the person has an elevated risk of permanently losing his or her vision without it. In the event that a child or teen is approved to have Lasik surgery, an eye surgeon will sedate him or her, in an effort to keep him or her still during the surgery. Even slight movements can increase the risk of complications. Adults, on-the-other hand are usually kept awake during the procedure. Why? Well, adults tend to have more control over their movements, therefore reducing the risk of complications. It is important to repeat that some people’s eyes are fully developed at age 18, while others do not fully develop until age 21 or later. In many cases, Lasik surgery vision improvements are only temporary, when performed on children and teens, under the age of 18. Moreover, almost all of these cases require additional Lasik surgeries in the future. Why? Well, as mentioned previously, children and teens eyes are considered unstable, which means they are still changing. In fact, the shape of their corneas may continue to change for some time. So, if I must be 18 to be approved for Lasik surgery, what is too old to have the surgery? Well, the best time to have Lasik surgery is between the ages of 20 and 40. After 40 years old, your eyes begin to change again. During this time, your vision may deteriorate and your risk of presbyopia may increase. It is important to note that Lasik surgery cannot correct presbyopia (i.e. the inability to focus, therefore making it difficult to see up close). Moreover, those age 60 and over, may be at risk of cataracts; however, if a person is over 60, for instance, 70 or 80 years old with no cataracts, stable vision or eye disease, he or she may be eligible for Lasik surgery. In fact, some eye surgeons have stated that older adults with good vision and healthy eyes are better candidates then many 20 and 30 year olds. ← How Can I Tell If I Have Glaucoma?